What Are Storage Expiration Labels? Storage expiration labels communicate expiration date information between the medical staff and pharmacy. Hospitals, clinics, physicians’ offices, nursing homes and more use storage expiration labels to communicate information that ensures proper patient care. Storage expiration labels detail key medication information including the date opened, expiration dates, storage requirements and more. 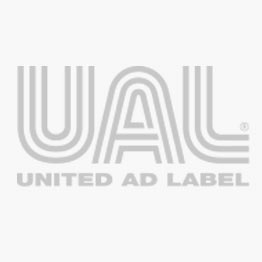 United Ad Label storage expiration labels adhere to almost any dry surface for permanent application. And, vibrant colors make critical information stand out and get noticed. Storage expiration labels are in stock and available for immediate shipment. Expiration Label, 2-3/8" x 1-3/4"
Fluorescent Green Expiration Label, 1-5/8" x 3/8"
Pharmacy Drug Renewal Label, 2-1/4" x 7/8"
Quality Control Label, 1-5/8" x 7/8"
Storage and Quality Control Label, 1-1/2" x 1/2"
Storage Communication Labels, 2" x 3/4"